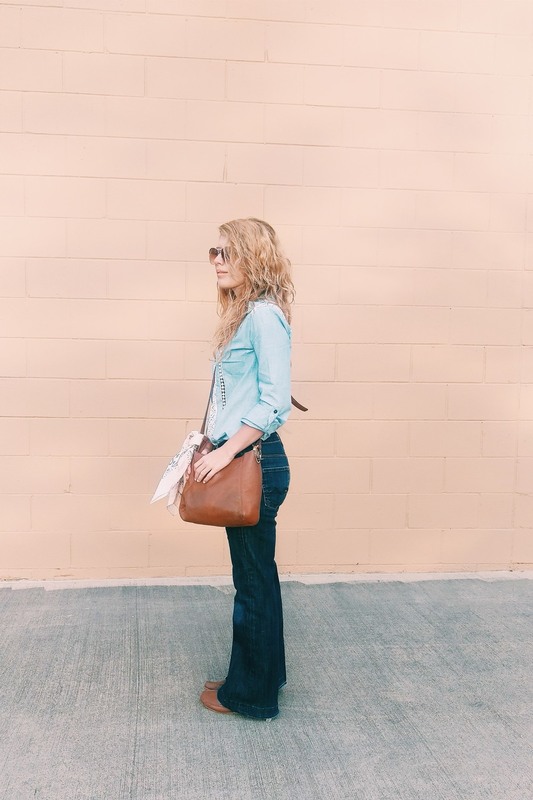 A chambray top is a staple in Texas. Although I am not much of a "country" music fan, I do love country style. From bandanas to hats, a few western touches can bring an outfit to life. 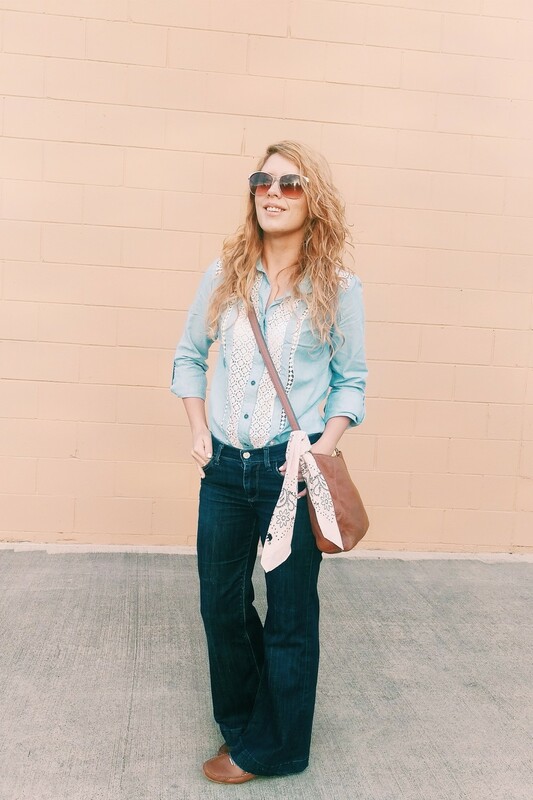 Lately, I've been wearing bandana scarves to add a fun flair to my neck, bags and hair. Pretty much wherever I can find a place to tie one on. I recently picked up a pink one for a hike last I went on (see here). I love the soft pink touch it adds to this denim on denim look. I added a simple brown cross body and leather slipons for the finishing touches. The key to wearing two shades of denim is to make sure one is significantly lighter. I like how this top I found has lace detailing on the front. When you look for a chambray top, try to find one that's a little unique - like this one, this one or this one. That way it feels a little different from what other people are wearing.